Golden Jill Scott Beautifully Human: Words And Sounds Vol. 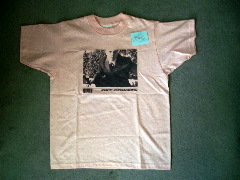 The tee I bought from TTP's "own it" section arrived today with a tiny card which has John's autograph on it. Thanks, John and Patty.